One of Asia’s top ranking medical facilities and is accepted as one of the best hospitals for neurology in the world. Utilizing state of the art equipment and medical technology. Bejing Puhua International Hospital (BPIH) is one of Asia’s top ranking medical facilities and is accepted as one of the best hospitals for neurology in the world, outside of the United States. BPIH’s Neurosurgery and Neurology department is operated by a highly educated and experienced team of medical professionals known globally for their expertise… Every year, thousands of patients travel from all over China and from across the globe to receive treatment for a wide variety of neurological disorders. Utilizing state of the art equipment and medical technology, BPIH’s diagnostic center only uses MRI, EEG, EKG and CT machinery developed by the industry leader in their field. When it comes to diagnostics, second best is not good enough. 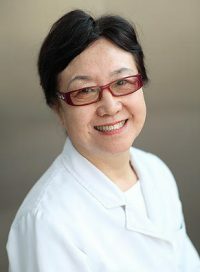 Dr. Zhou is the Director of the Neurology Department at Beijing Puhua International Hospital. As a visiting scholar to the University of Michigan and Harvard University, she participated in numerous research projects and is considered a leader in her fieldAdditionally she worked as the the chief editor of several national medical publications and. conducted in-depth studies on the treatment of intractable neurological diseases, particularly degenerative diseases including aphasia, dementia and neurosis. Areas of specialization: Parkinson’s disease, amyotrophic lateral sclerosis (ALS), multiple sclerosis (MS), multiple system atrophy (MSA), myasthenia gravis (MG), malnutrition, inherited metabolic diseases (IMDs), such as Batten disease. 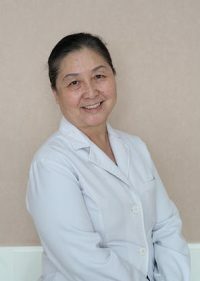 Dr. Yang, former Director of the Neurology Department of Beijing Tiantan Hospital and the Director of the Emergency Treatment Center of Cerebrovascular Disease is the assistant director of Neurology and a world renowned neurologist.. A graduate of the Military Medical University III, she has been working in Neurology for more than thirty years. Areas of specialization: Cerebrovascular disease, cephalo-facial neuralgia, sequela of brain injury, spinal cord injury, optic atrophy, developmental disorder, apoplectic sequela, cerebral palsy, Parkinsons disease, encephalatrophy, and other neurological diseases. 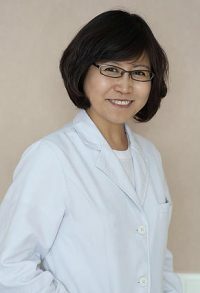 Dr Yang is a member of the fourth Neurological Committee of Beijing Institute of Integrative Medicine and was the chief neurologist at the Capital University Xuanwu Hospital . She has persevered in first-line clinical work in neurology department for 46 years and has been featured on CCTV several times for her work.. From 2000 to 2008, she was sent to Macao Earl Hospital by state ministry of health and worked as the chief expert for the appraisal of medical incidents at that facility. Areas of specialization: Headache, epilepsy, cerebral thrombosis, cerebral hemorrhage and other cerebrovascular diseases. Cerebral palsy, Parkinson’s disease, brain atrophy and other neurological diseases. Neurodegenerative disease, neurological autoimmune disease, peripheral nerve and muscle disease.